Description: After the needed handseal, the user will preferably be wearing a cloak or robe type garment. About two dozen crows will burst out of the cloak, maybe even the sleeves. This jutsu is often used as a distraction. Weakness: No immediate combat use. Crows can be attacked etc, alone they do no more than pecking. Description: This Genjutsu requires crows to already be out in play, after which they will spiral around the target(s) making the user out of sight due to their number and density. During or after, user choice, the crows finish tormenting the target(s) for however long the user wishes, the user then seemingly phases into existence behind them in a ghastly fashion in silence. Weakness: The user cannot attack directly after this technique. User can still be sensed. Genjutsu can be broken and saw through with Doujutsu and proper prowess. Description: After needed handseals the users body begins to emit crows that linger above circling the general area or someone specifically. On the users command the Crows then turn into a myriad of shuriken and rain down towards the users target. This is all an illusion of course, but if a shuriken were to hit the target would not only "feel" the pain, but the shuriken wouldn't simply phase through them it'd act as if it struck them and stick in them. Weakness: Genjutsu Kai, Avoiding the Illusion Attack, Doujutsu with proper genjutsu breaking properties. Description: After a shuriken from the Murderous Rain Genjutsu comes in contact with the target(s) this jutsu is then usable or through the Shadow Tag Genjutsu. This causes the target to believe become short of breath and have a choking feeling. This will continue until the target(s) then expel a flock of crows from their mouth, bringing them to their knees. Their actions while experiencing the hallucination will be evident in reality, but of course the illusion will not be seen by others. Weakness: Murderous Rain misses. Genjutsu Kai. Doujutsu that breaks or sees through Genjutsu. Description: Upon completion of handseals, the users frame begins to wave back and forth in a lucid/surreal fashion. This continues until the image is either disturbed or the user releases the jutsu. 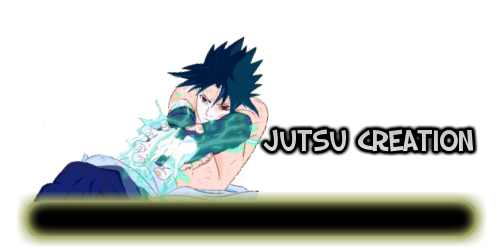 Upon release or dispelling nothing will be left behind, the Genjutsu just being used as cover for a Body Flicker. Weakness: Sensory, Genjutsu canceling Doujutsu. Can't attack immediately after use. Description: After linking up with the target(s) shadow with Shadow Imitation, the user then forms the Serpent handseal. Upon doing so, the target(s) will experience the illusion of sinking into the shadow at the speed the user wills may it be extremely quick over slow, regardless when the snake seal is formed the Genjutsu is locked and also is able to be broken. The black out of the sinking into the shadow creates the illusion of actually losing consciousness, but shortly after the target(s) will awake in the illusion. They will awake to find themselves in what appears to be a torture room with a few Anbu Operatives that have Oni Mask. The torture is relentless and gruesome. Traumatic thoughts pacing through the users mind eye, the torturers will stab, the target(s) and use other methods to wear down the target(s) mental. While this occurs any questions the user ask in reality while be heard in the hallucination by an interrogator and any answers given will be said in reality. Can be linked with Shadow Tag. Weakness: Genjutsu Kai. Unaffected foes. Those with higher Genjutsu Combat Skills. Shadow Imitation Misses. Doujutsu that pierce Genjutsu. Description: After connection is established with Shadow Imitation, the user forms the Dragon handseal. From positions of the users wish, up to four operatives that take a form the user chooses appear and approach the immobilized target to impale them from various angles with blades. The pain of course is not real, but is very intense and only those with stronger minds than the users can ignore it. From incapacitation to weakened or simply weak foes, even the strongest are brought to their knees from the experience. Being able to control the illusion down to the appearance of those that impale the target(s), the Genjutsu is very crafty. Wouldn't the duration be an upkeep if you can torment them for a long time?